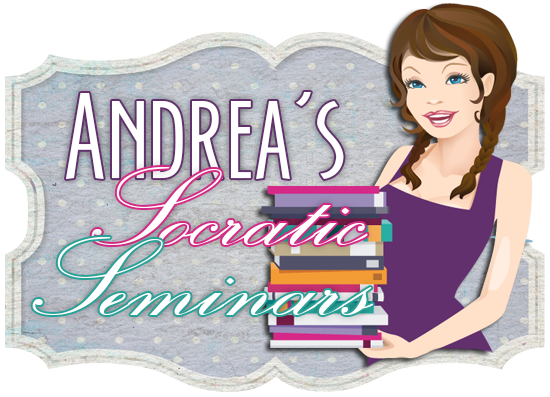 Bookish Lifestyle: What is a Myth? Before some of you run at us with pitchforks, here us out. We are not advocating for one religion or another, or religion in general. We are not trying to sway your beliefs in anyway. We all have our own beliefs and we respect yours and one anothers. Nor are we saying that this is what we think and you must conform or get out. This is merely a perspective on mythology and how it could differ to the billions of people in the world. Please keep in mind the wise words of Evelyn Beatrice Hall: "I disapprove of what you say, but I will defend to the death your right to say it." It's Mermaids & Myths here at Bookish and it's time we discussed what exactly constitutes a myth. While some of us had no trouble finding books to review for this month's theme (namely Tiffany, our resident mermaid expert), others of us had a bit more difficulty finding books. We bounced book titles of one another. "Is this a myth?" "What about this?" "Do you think this would qualify?" And then Evie made an excellent point when the question of angels and demons was brought up: "Angels and demons are actually christian mythology . . . I guess it's a matter of perspective?" Mythology is tricky. It is about perspective. Yes, there are the myths everybody accepts (dragons, mermaids/sirens, fairies, etc - though I'll fight you on the existence of mermaids . . . 95% of the ocean is unexplored, you can't tell me there aren't mermaids out there somewhere). However, there is also the Christian mythology, Jewish mythology, Chinese mythology, or any other religion for that matter - there is a great deal of modern mythology out there. Just because a large group of people believe it to be true, doesn't mean that everybody does. And vise versa. For instance, look at the Greek mythology. Thousands of years ago, that was a religion. They weren't myths, they were the stories of their gods. Or banshees. For a while I flirted with the idea of doing Rachel Vincent's Soul Screamers series. I believe in souls, but not everyone does. My friend studied abroad in Ireland one semester and she told me there are people there who believe in banshees and others who consider them myth. So while the whole series isn't beating you over the head with mythology (like Aimee Carter's Goddess Test series - which I love, by the way, that is all about the Greek gods), there are mythological elements and facets throughout the series. If you've ever watched the television series Bones (and you should cause it's awesome), you'll know the titular character, Temperance Brennan (Emily Deschanel), is an atheist and a firm believer in science while her partner, Seeley Booth (David Boreanaz) is a strong Catholic. Throughout that series she'll refer to religion as a version of mythology, to which Booth will quickly inform her that it's not a myth, but something he believes in. Booth: On the show Coleman would go out and he would debunk different myths and legends. You know the Loch Ness Monster, the Yeti, psychic healers, yadda yadda. Brennan: I’m not familiar with the yadda, yadda, yadda myth, but the rest of them don’t need disproving because they don’t exist. Says who, Brennan? One of the things I like about this dynamic is that Booth is able to go beyond the science and the factual evidence to envision the possibilities. While at the same time, Brennan shoots back with "Just because you haven't seen something doesn't mean that it doesn't exist. I mean, you haven't seen the backside of the moon, but you believe in it." Who is right? Neither can prove that they are right and the other is wrong. Booth cannot prove they exist; Brennan cannot prove that they don't. The same goes for any mythological, paranormal, and religious character out there. I am a believer that some of these things exists, you may be a believer that they don't. Your friends/family may believe in some, but not all. 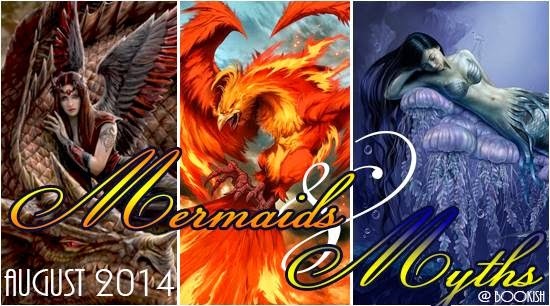 While mythology as a whole is subjective, it was ultimately decided that for Mermaids & Myths we wanted to stick closer to the mythology of mermaids/sirens, dragons, selkies, and ancient gods & goddesses. We are also straying away from vampires, shape shifters, and fairies as they are exceptionally common and we want to give notice to those myths that are not. What kind of stories do you consider to be myths? Do you have a favorite myth that you want to sure with us? How about a favorite mythological creature? Personally, I'm a fairy: "Positively enchanting! You’re naturally adorable, but your enemies are in for a nasty surprise if they think that means you’re helpless. You’re feisty and quick to act, and you’re a bit of a trickster and enjoy practical jokes. You know how to enjoy yourself. From appreciating a sunny day to standing up for what you think is right, you carpe the diem, always." Sounds about right! What are you?